This week I'm pleased to announce that I will be guest hosting on 52 Quilters social media sites. According to 52 Quilters' blog, it "is a social experiment in quilty communication and collaboration." Through 52 Quilters social media sites, you can "discover a virtual patchwork of quilters throughout the year as each week a new quilter takes over the 52 Quilters Instagram, Twitter and blog. The goal of the project is to document the collective crafted life of quilters." So stop by once in a while this week at 52 Quilters. I'll try to cross-post on my Thistle Thicket Studio Instagram and Twitter accounts also - if I don't get totally confused with all this techy stuff. Hopefully we'll have some fun and get to know each other better this week. 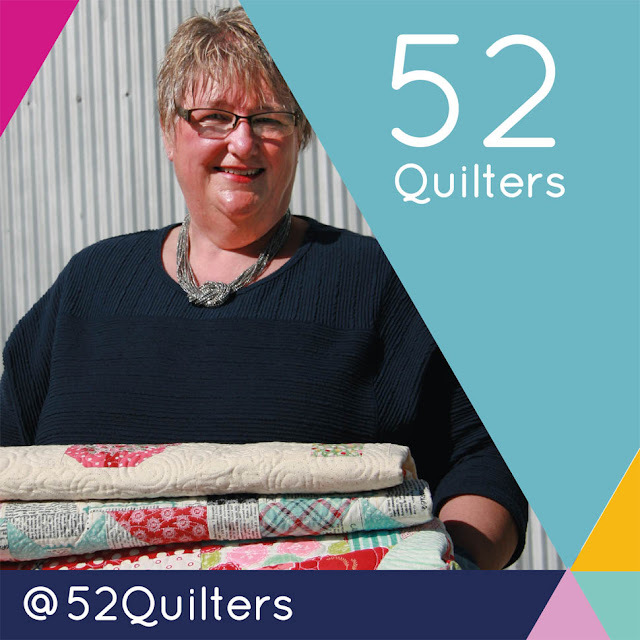 I'm going to be doing 52 Quilters next week! Enjoy! Fantastic ! Go Sharla !